You’re secretly admiring the calligraphy craze on Instagram. You want to try your hand at it, but you lack creative confidence. You have no idea where to start. Your used to love arts and crafts as a kid, but life has squelched any space for creative fun. You’re looking for a new creative outlet. You’re a closet calligrapher, dabbling on your own at home through youtube videos, blogs, or instagram lettering challenges. You’re ready to take your lettering to the next level. 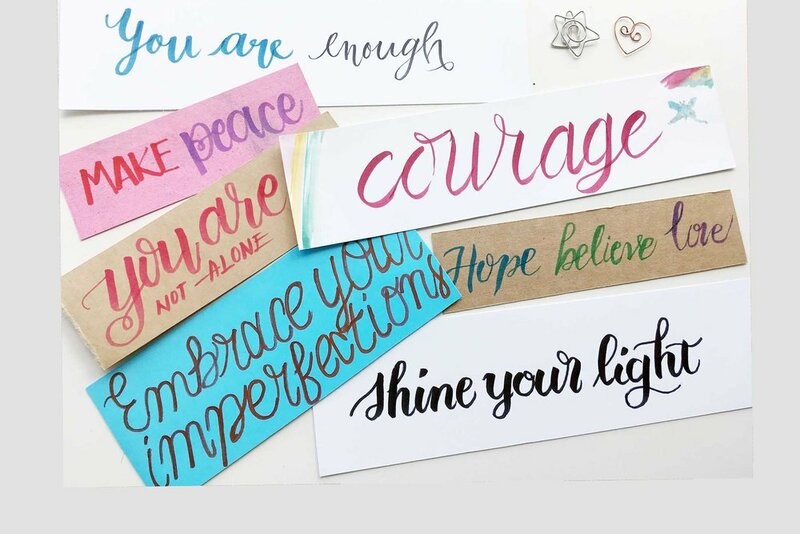 No matter where you are in your lettering journey, I invite you to join me, Justine Hwang, for my calligraphy workshops in Vancouver, BC where I will teach you lettering as a tool for creative self-care and social impact. Come and show up for yourself (bring a friend if you like! ), have fun, and refresh your heart with the creative tools to live an inspired and intentional life of impact. These workshops focus on equipping you with a foundation of technical tools for all your lettering adventures. With a focus on building your creative confidence in an encouraging environment, perfection police are not allowed. Leave feeling relaxed after getting into the flow and space of slowness and presence that the practice of calligraphy builds. 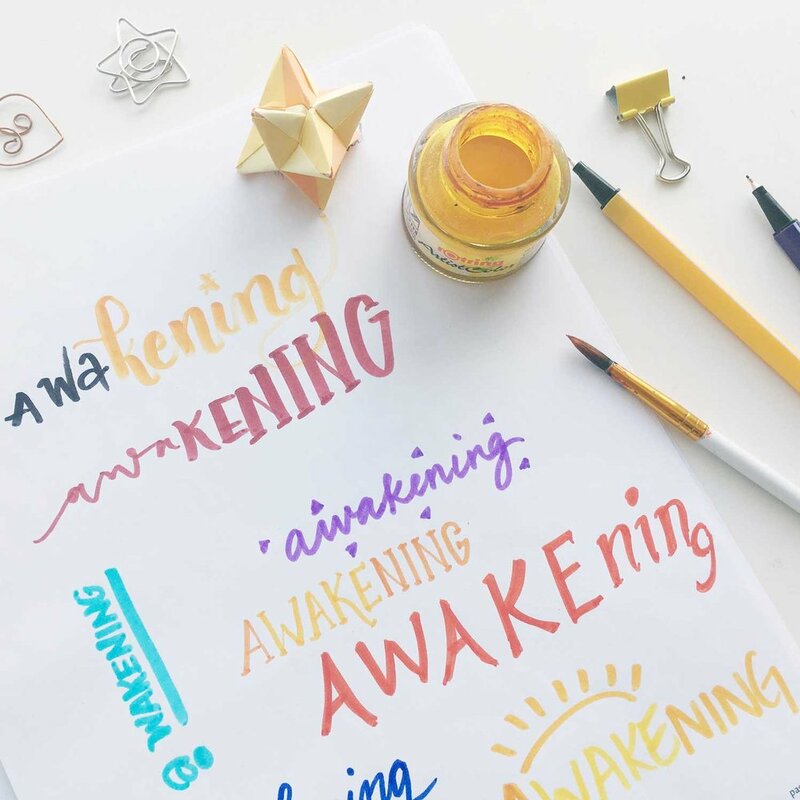 Focusing on creative exploration (and less on precise technical how-to's), these workshops will empower you with expressive lettering as a tool for self-care and compassion, focusing on topics like gratitude, vision boards and meditating on the meaning of words. Engage in an intentional space of reflection through guided prompts, visualization, journalling, and creative exercises. Experience belonging as you share in meaningful conversations in a collaborative community. Why Choose It Just Flows Calligraphy Workshops? and periodically in other cities by invitation and request. Past cities include Toronto, Calgary, Chicago. In the meantime, you can always find me at www.itjustflows.com or here on instagram.